Kanaya Ryokan has been welcoming guests since 1866, but is most famous for its 15 meter long “sen-nin buro” (1000-man bath) built in 1915. This beautiful wooden bath is not only long but also very deep. In fact, it’s big enough to swim in. The women’s bath (pictured above) is much newer but probably just as nice, and although not quite as big as the main bath you can still do about 6 or 7 breast strokes in the longest part. The women’s bath has many partitions with a slightly different temperature in each one. Women don’t have to feel left out though. 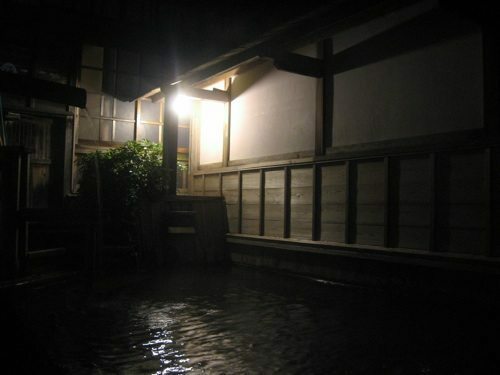 The main bath (sen-nin buro) is not actually a men’s bath, it’s “konyoku” (mixed bathing). Curious women can take a key and enter the sen-nin buro through a double door from the change room. Hang onto your key or you’ll get stuck with the boys. 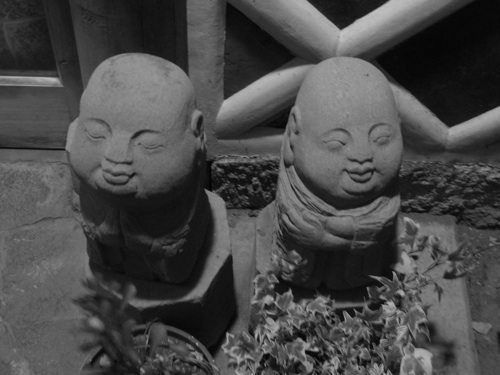 Both the women’s and the men’s bath has a small “rotenburo” (outdoor bath) as well. Nothing really exciting outside but still nice to get some fresh air. 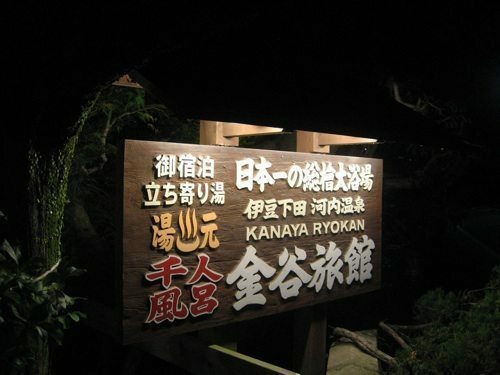 Kanaya Ryokan is in Rendaiji, one stop from Shimoda by train.